important registry entries commonly hijacked by malware. any process from writing to registry startup locations. 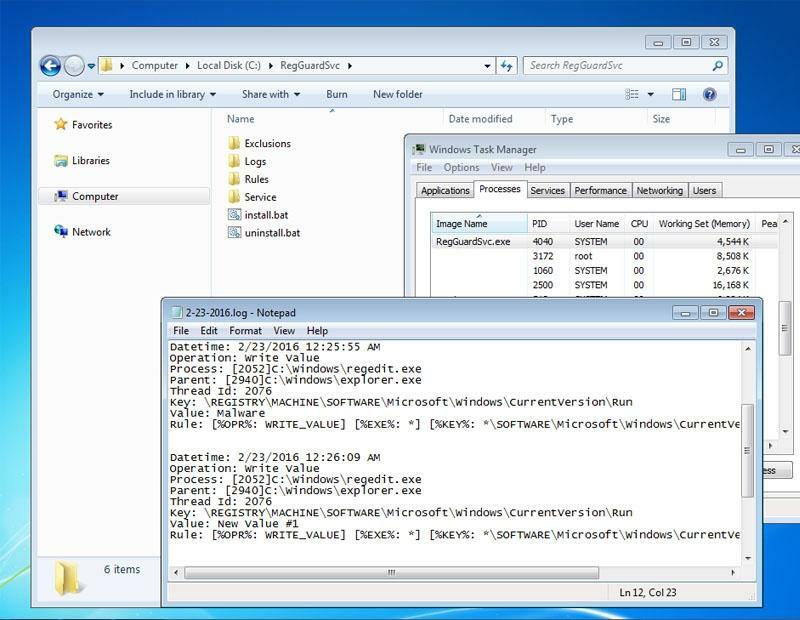 Via a simple INI file you can configure the logs path, exclusions list, and more. 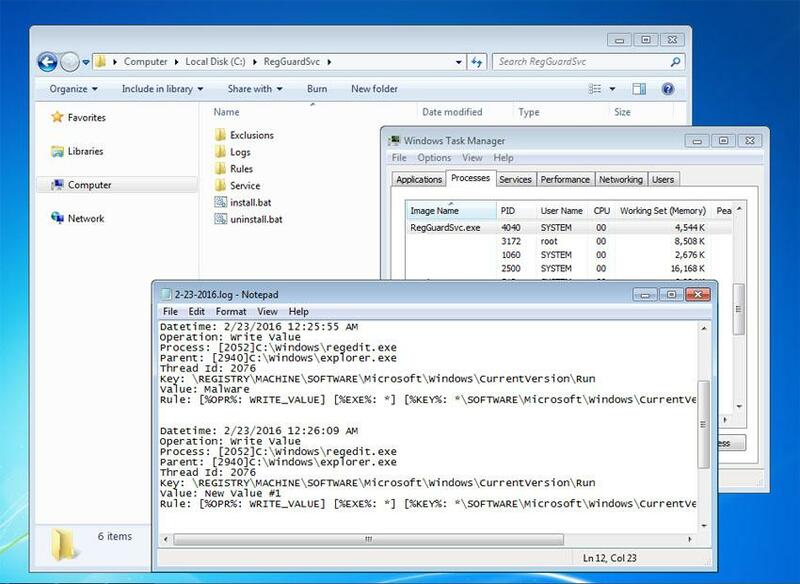 Log the registry action blocked, the process name, and many more info.